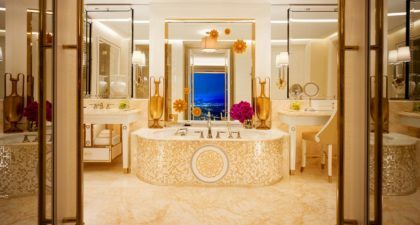 The floral-themed Wynn Palace in Cotai transports guests into a world of beauty. Starting from a breathtaking ride in an air-conditioned SkyCabs, guests will traverse across the 8-acre performance lake and into the heart of the resort. 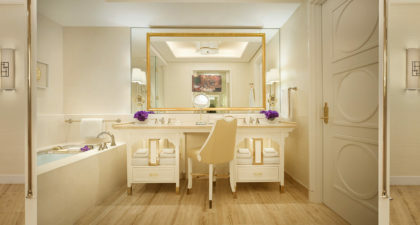 The Wynn Palace features 1,706 exquisitely furnished rooms, suites and villas, an opulent spa, luxury retail and delectable gourmet dining outlets. 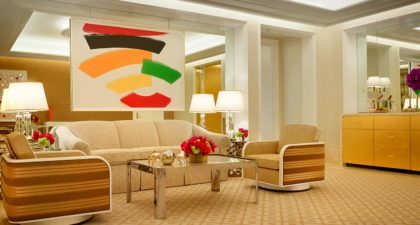 The hotel is beautifully designed, with large-scale floral sculptures by world-renowned designer Preston Bailey, and a rare art collection, containing both antique and modern art displayed throughout the complex. 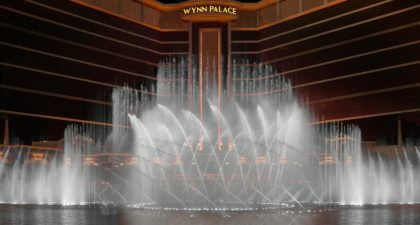 Guests and visitors alike can also take in spectacular aquatic performances at the Wynn Palace performance lake, with choreographed displays combining music, water and lights taking place every 30 minutes, beginning 12:00 p.m. until 19:00 p.m. and every 20 minutes from then until midnight, daily. 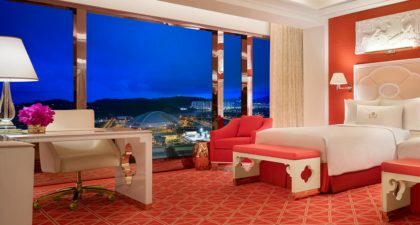 Room prices start at 1,553 HKD.